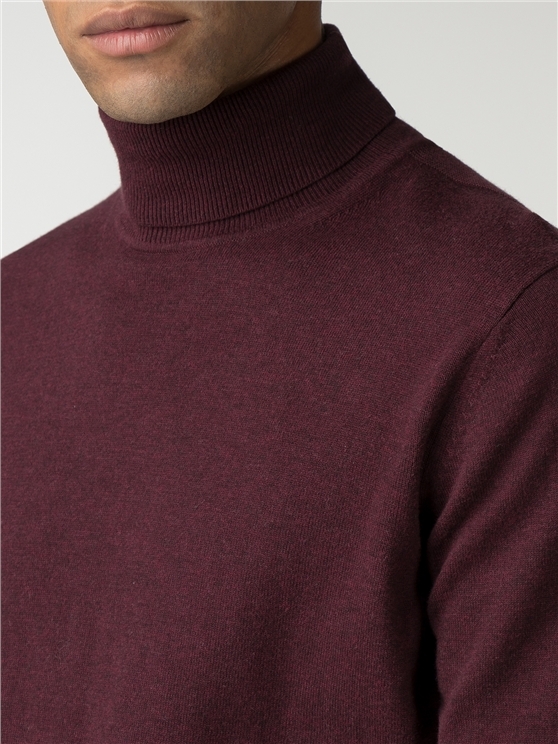 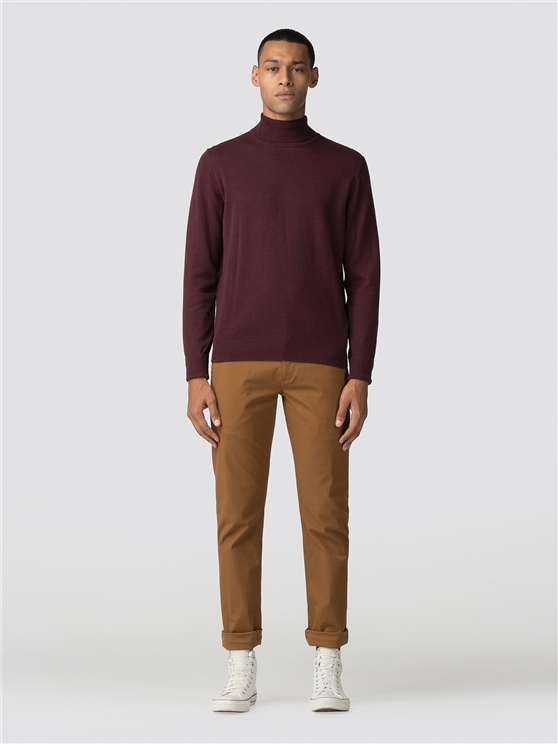 The classic, burgundy red cotton knitted roll neck. This is a truly iconic sweatshirt, with the classic polo neck jumper design that has inspired by generations. 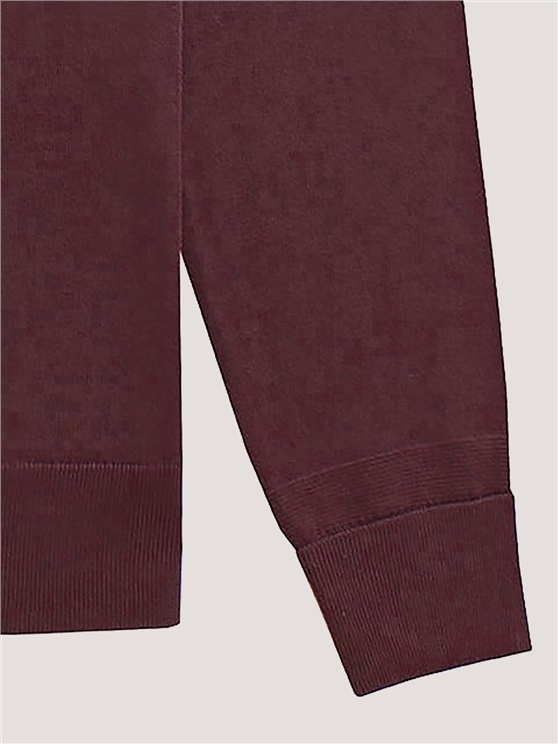 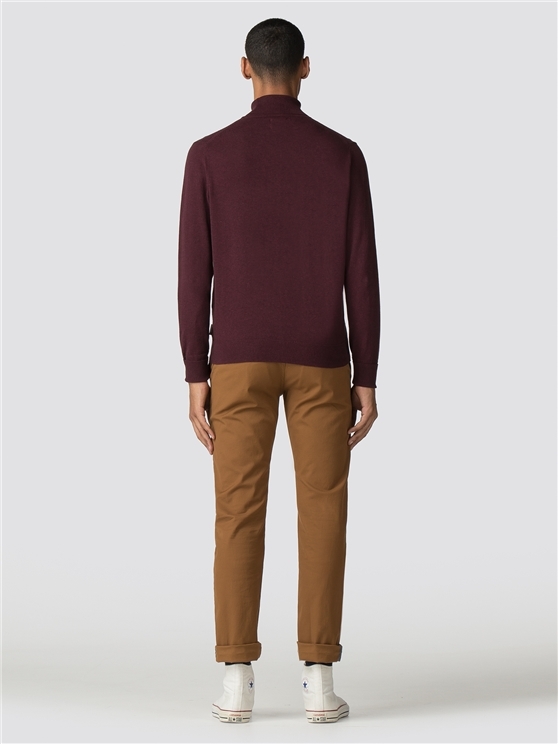 With cotton soft fabric, this men's wine red sweatshirt boasts ribbed cuffs and hems for a comfortable fit, and the iconic branding that has made Ben Sherman a household name. 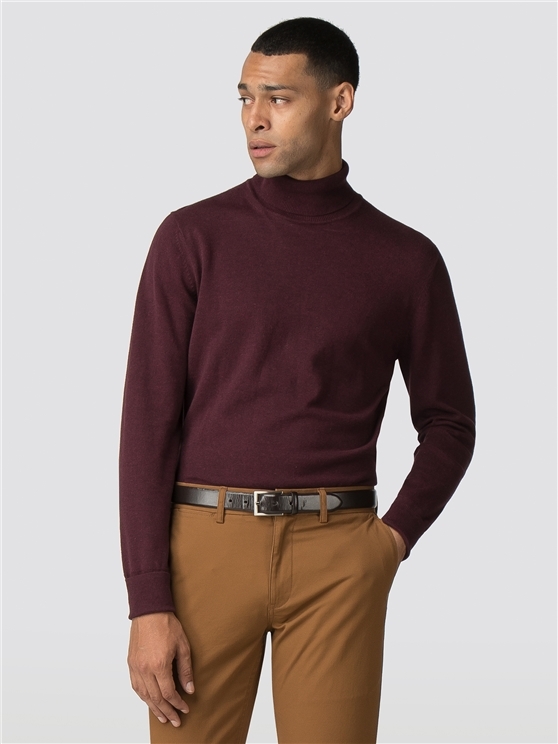 A classic of men's knitwear - from the original Ben Sherman. Est 1963.